I finally had a chance to try out my new homemade silk screens and am happy to report that they work great! 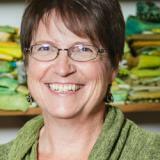 I followed the directions given by Jane Dunnewold in her new book Art Cloth…which is fabulous! It was easy to make my own screens and in a non-scientific head to head test they worked just as well as the purchased screens I have. Here are just a couple of my screen printing treasures. I have read about this method of coloring on the screen with water soluble wax pastels and using soft gel medium or matte medium to dissolve the pastels in a deconstructive method of printing. I played a bit but don't know that I am in love with this process although I really like this piece. It takes quite a bit of medium to dissolve the pastels and this affects the hand of the fabric quite a bit. It is still stitchable but hand stitching would be tiring. Paper resists are some of the easiest silk screen resists and so much fun...you end up with great painted scraps of paper as a bonus! These grids were screened on top of a less then attractive mono-print. I love the colors! I have still not had a lot of time to play with my Thermofax very much. I love the details you get with these screens and they are so easy to make too!At Tuesday Tarts (one of my creative fiber arts groups) this week we played with Shiva Paintstiksand had a lot of fun...as usual. 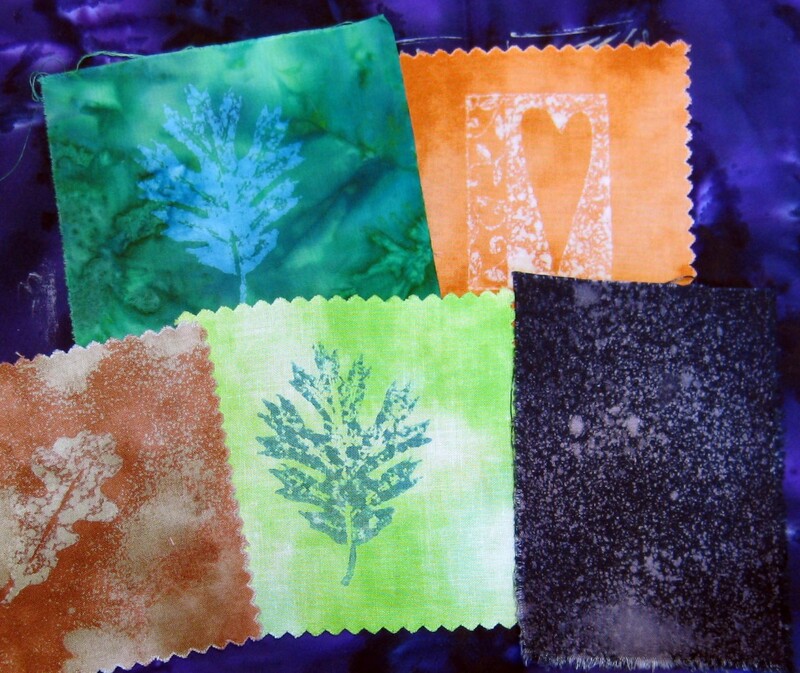 I used some of my fabric and paper towels from my dye day...aren't these great? I love using my clean up cloths in my fiber work and my journaling.